Our aim is to provide quality products and services to achieve a better and healthier life for our fellow human beings. Pharma Maac is ISO 9001:2015 certified. After the introduction of our revamped quality management system in 2013, in accordance with DIN EN ISO 9001 Pharma Maac successfully completed an extensive verification audit in 2016. for ISO 9001:2008 certificate. The audit has tested and authenticated all of our processes and services. With the successful review, we were able to demonstrate that we meet the high quality standards of our customers and partners. Pharma Maac has set itself the goal to ensure the highest customer and principal satisfaction in fulfilling the needs of the therapeutic chain by delivery drugs, biologics, medical devices, food, food supplements and cosmetics to a full range of hospitals, medical professionals, pharmacies, retail sales points and our respectful patients and consumers. 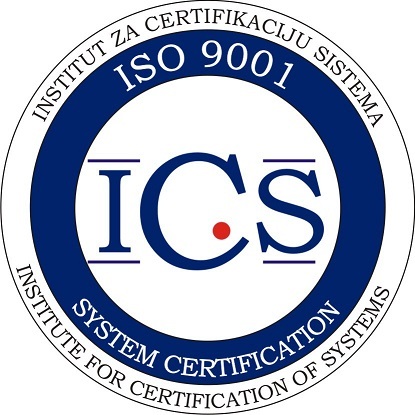 Implementing the ISO9001: 2015 quality management system, in July 2018, which is based on the highest applicable standards allows us to achieve this goal. The continuous improvement of our processes is reflected in the consistent and regular training of our employees. Through training, not only do we ensure that our employees are always “up to date, but also we are” creating highly motivated employees who are mindful and informed in their professional dealing with customers and partners. Our proposal is to combine locally present medicine and know-how with available world-wide innovative products and treatment concepts. In so doing we will match our vision to be a unique service provider on the highest level attainable – like the Champions League – for a better and healthier life for individuals all over Europe. We aim to be one of the most renown and desirable sites in the field of medicine, pharmacy and healthy living.